Hope all of you are doing fine. It has been seven long years since we last met here! (since I wrote lesson 161). For me, it was seven eventful years, with loads of ups and downs, but as a whole, a positive era. For those of you who wanted to know about my fate in college: I got a bachelor’s degree in Philosophy and Theology, and a Master in Peace and Development Studies. Hurray! You see? There is always hope! :) If I could do this, I am sure you can take a bigger step. All you have to do is pick a goal and dedicate a few hours a day to it. I am sure you will succeed. Do your best. If you are still around, I have good news for you: I am back! And determined to finish ‘Mahi Siah e Koochooloo’ for you. I am not sure what to work on next, but I still have a few more weeks to think about my next step. 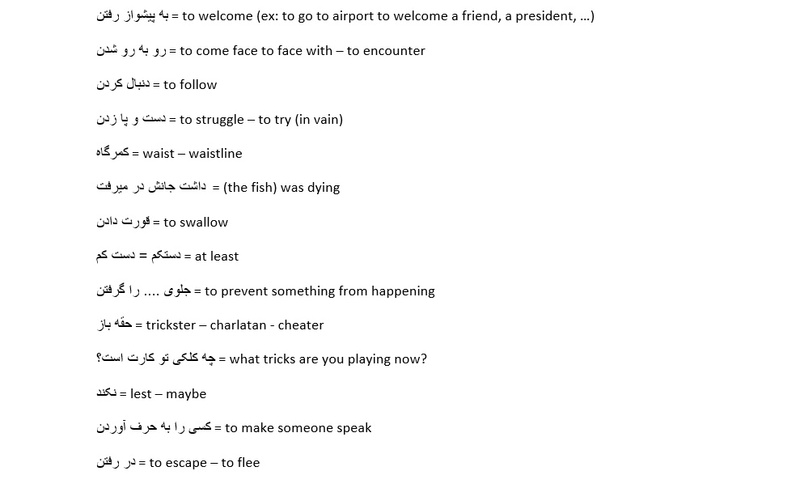 If you have any idea (or, any interesting and easy-to-follow text to work on) please let me know. Feel free to email me. Thanks. 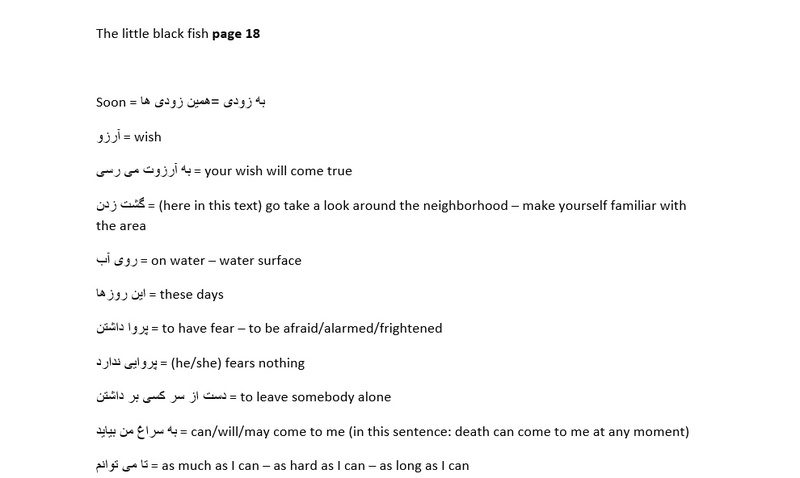 Now, let’s go to lesson 162, which is page 18 of the Little Black Fish by Samad Behrangi. Hope you have enjoyed it so far. If you have problems watching the clip, please right-click on the link below and choose ‘Save link as’, or ‘Save target as’ to download the video. Thanks. Don’t forget to check the Useful Drills 162 – and Let’s Write 162. Bye for now. See you next Saturday.